You buy a cow that is fed and cared for on the farm, so there is no need to actually know anything about raising a cow, but you reap the rewards when the cow gives birth or is sold on the beef market. Being first to market has the advantage of owning the space – Shezi has trademarked the concept of crowd-farming – but it also takes time for investors to trust the concept. Possibly the best thing that could have happened to Shezi was the launch of Fedgroup’s Impact Farming, which allows investors to buy blueberry bushes, beehives and solar panels, which are all farmed for them. With a well-known financial institution entering the space and spending money on advertising, people have become more familiar with the concept of crowd-farming. “No one had done this before, so credibility was our biggest competition,” says Shezi. But investors weren’t the only people he had to convince – he also needed to get the actual farmers on board. Livestock Wealth has focused on free-range beef, which, because it is free of antibiotics and growth hormones, makes the meat a perfect product for Woolworths. Livestock Wealth has also partnered with MTN Connected Livestock, which helps monitor the livestock and provides investors with data on their specific animals. Shezi is a big believer in the power of crowd-farming: “Government can’t give us all a farm divided into small amounts. We need to move away from the old farm model of one person owning land, having all the skills and farming their own product. Shezi plans to expand the model and bring on new farming operations, including timber and solar. Although I had heard about Livestock Wealth (livestockwealth.co.za) before, it was only when personal finance blogger @your_money_blog (takechargeofyourmoney.blog) wrote about his experience as an investor that I decided to write about it. Like many potential investors, as a credible journalist, I needed to make sure this was a legit business before writing about it for our readers. Now in business for nearly four years, Livestock Wealth has met all its obligations to its investors and, by all accounts, looks like it is going from strength to strength. 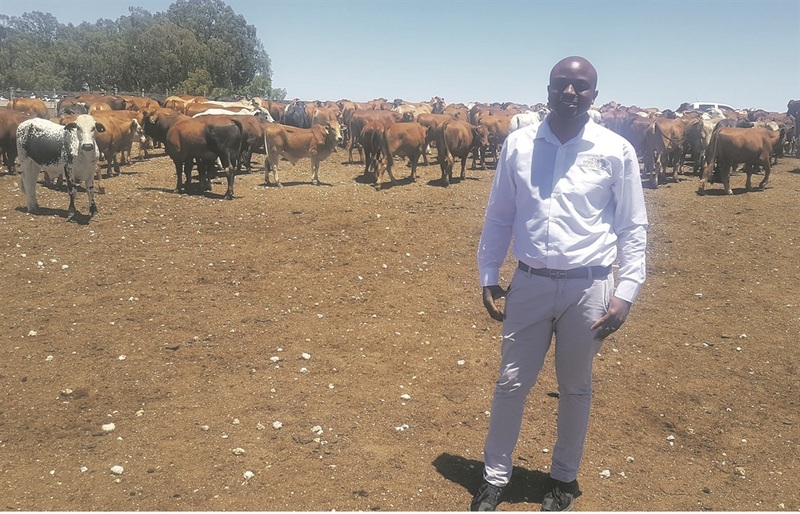 Offering investors returns of about 13% a year, Livestock Wealth has more than 730 investors and R36 million worth of cows, and has paid out R4.2 million in dividends. It aims to have 10 000 investors by February 2020. This is probably not an investment for vegetarians, and if you are worried you may become attached to your animal, you should opt for the pregnant cow investment rather than raising a calf for slaughter. Originally, the Livestock Wealth concept was about owning the cow for life – you bought a cow, paid for the food and vet bills and when she gave birth to a calf, you received the profits from the sale of the calf. Shezi said this presented a few challenges. Firstly, people had to pay in twice a year to cover monthly care costs, creating cashflow challenges and, secondly, it was a longer-term investment. The real demand was for shorter-term investments of about six months to a year – and people didn’t want to keep paying in. The new model is simpler, and you can either buy a calf or a pregnant cow. You invest R18 730 in a cow that is three months pregnant and there is no additional cost to feed or care for the cow. Once the calf is born, it is raised until it reaches a weight of 200kg, which is the most valuable time to sell. Prices for weaned calves are published in the Farmers Weekly and you earn a portion of the profit from the sale of the calf. The profit on the sale of the calf is then divided between the investor, farmer and Livestock Wealth. Depending on the price of calves, you can expect a return of between 10% and 14% a year. In other words, if you invest R18 730, you can expect to receive between R20 603 and R21 352. You invest R10 980 in a 12- to 18-month-old calf that is raised to produce premium free-range beef. The profit on the sale of the calf is divided between the investor, farmer and Livestock Wealth. Depending on the beef price when the calf is sold, you should receive a return of about 6.5% as the investor (that works out to 13% a year). So, if you invested R10 980, you could expect to receive about R11 693 after six months. The returns you receive are simple returns – in other words, they are not compounded. Considering that, for long-term investing, the key to growing wealth is the compounding effect of money growing on money, the key is to keep reinvesting your profits. Shezi says 95% of his customers use their profits to buy another cow. If you had 12 cows, the profit would be enough to buy another calf every six months. In this way, you can build up a portfolio of cattle. Even if you are investing only for the short term, a 13% return over one year, or 6.5% in just six months, beats the current returns offered by a bank deposit. In fact, the long-term average return of the JSE is only 11.9%. The cows are insured, so if something happens to your cow, it will be replaced. The main risk lies with the price of beef or of weaned calves as this influences the price you receive. The prices of beef and weaned calves are published each week so you can keep track of them. However, unlike the price of gold – which is driven by sentiment – beef has an underlying demand, so, while it may fluctuate in price depending on demand and supply, it is unlikely to drop significantly in value.